These days there's many backing tracks and play-alongs on Youtube. Earlier I posted a few of my favourite channels for play-alongs with static sheet music here. But a few days ago I came across a more recent one called the Visual Real Book that displays the chord movement in real time. There's no notation for the melodies, only the chords are visible. Obviously the tracks are all created in PG music's Band-in-a-Box using the "RealTracks" (full recordings of real instruments, lasting from 1 to 8 bars at a time, playing in sync with the other MIDI tracks) and the screen is then captured in real time on video. The effect is pretty much like the iRealbook that I have on my iPad. Only the sound of the Visual Real book is way better. So if you want to practise in front of your laptop, this channel really comes in handy. 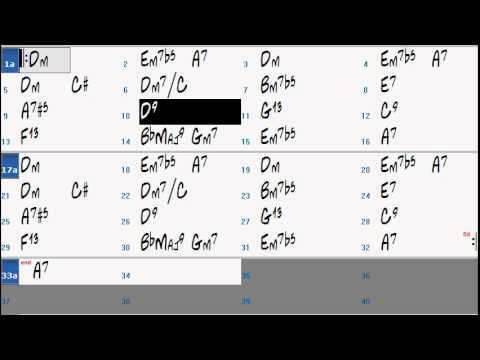 It seems that there are about 160 free backing tracks for jazz musicians now and new ones are added regularly. They even have their own Facebook page on which they post their latest uploads. 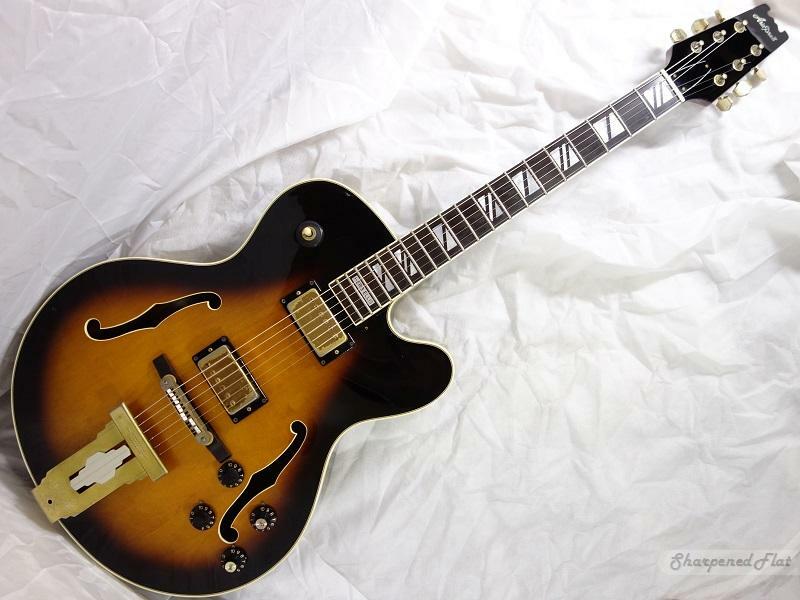 The Aria PE 175 (Herb Ellis) was made during the '70s and '80s and '90s. The '70s and '80s versions where made in the highly regarded Matsumoko factory in Japan which made the Greco, Tokai and other copies of gibsons which many folks preferred to the originals. Later, these guitars were reissued and made in South Korea and were not very good so make sure you are buying a japanese model if you decide to venture into these waters. 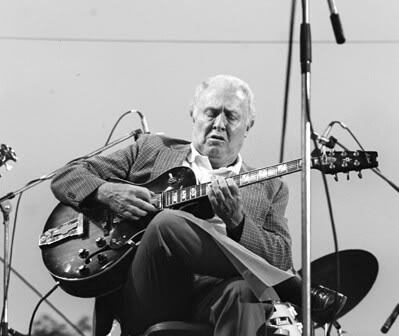 Sometime in the early '80s, Herb Ellis signed a contract with Aria and the guitar officially became his namesake model instrument and has his name inlaid on the fingerboard and initials on the pickguard. The original model was roughly based on the Gibson 175 with a mahogany neck, though it had an ebony fingerboard, 16" maple plywood body and L5 style tailpiece. The ebony used for the fingerboard is of a very high quality, easily equal to what Gibson was using during this time period. Like many japanese guitars, the neck is a bit on the slim side but I find it very comfortable and easy to play all the way up the neck. Frets are approximately like Dunlop 6105s which are considered slightly smaller than jumbo. It's got a metal tuneamatic tailpiece and dual humbuckers which are VERY good. At some point, sound posts were installed in these guitars under the bridge. Mine (1983) does not have a post from what I can tell. 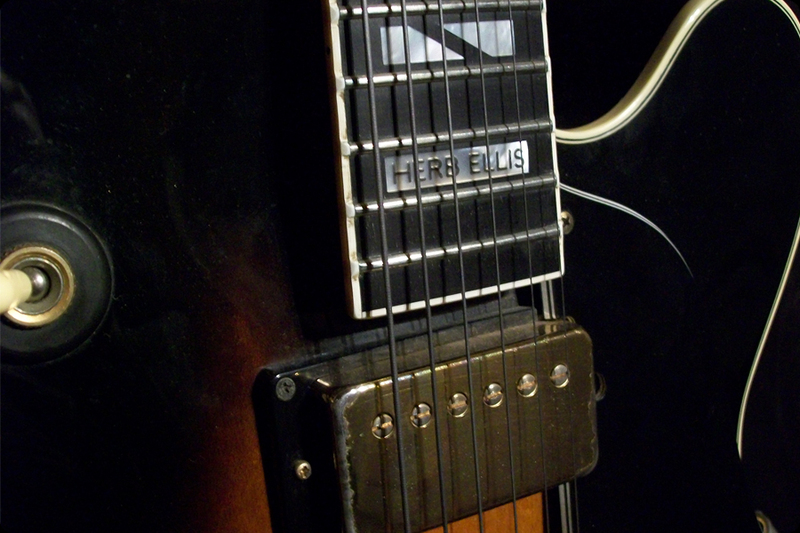 (I have not inspected it with the pickups out and a mirror). It may be that the earlier versions did not have this feature. One other example I have played did have the sound posts. The neck angle is very good on these guitars, allowing very low action and in that regard it's like Ibanez, in that it's got somewhat of a "hot rod" guitar feel. It's effortless to play fast on. In terms of tone, the guitar is 175esque in quality but it's got a bit more velvety top end and not quite as much acoustic resonance. The amplified tone is extremely even and somewhat compressed, but in a good way. Because of this compression the guitar is very suitable for playing fast Bensony lines. And with the velvety top end, it's very rewarding to play octaves or block chords a la Wes Montgomery, more than would be the case with a Gibson 175. Even without the soundposts, it's slightly less prone to feedback. I'm not sure how many of these were made but they seem to be somewhat rare. You typically see them selling for around $800-$1000 on ebay. Everyone I have played has had a flawless setup and like Ibanez, they seem to be made so well that it's rare to find one that has any issues with the neck or playability. This guitar is easily as good as any of my top guitars and in fact, I prefer it to many of the solid top boutique guitars I have owned. It's got a more even tone, very mellow and has the warmth of the '60s jazz guitar records by Tal Farlow, Joe Pass, etc. I have written about Wim Overgaauw earlier here when I first posted the video below. It features Wim playing in the Pim Jacobs Trio in 1960. 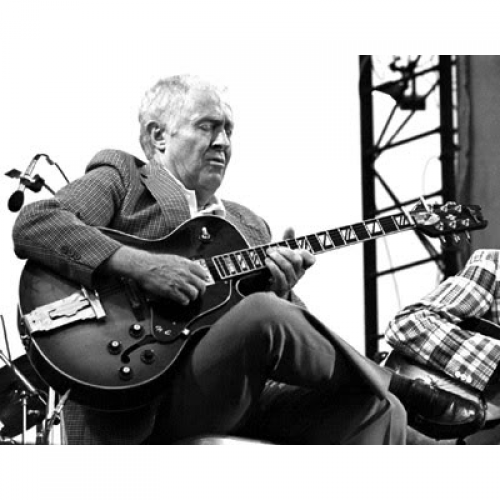 There is very little doubt Wim has been the single most important figure in the development of jazz guitar in the Netherlands. Although he died in 1995, his heritage is still strongly felt in the presence of his former students Jesse van Ruller and Martijn van Iterson. But, as the clips show, Wim was not always a teacher. Before he embarked on a career in teaching he had been playing for over two decades, his career starting somewhere in the 1950s. 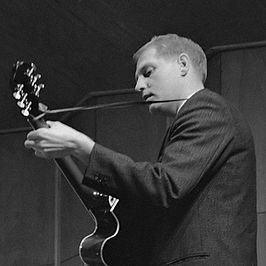 However, it was in the 1960s that he rose to prominence as guitarist in the Pim Jacobs trio. A trio that later toured Europe with jazz singer Rita Reijs. Here's a clip from the trio backing Rita. The year is 1960 too. Wim takes a great solo. It's good to see more and more vintage Wim Overgaauw showing up on Youtube. I don't think Wim was that happy with his recorded output at the end of his life but these clips show him in great shape and really deserve to be heard. Here's a lengthy live clip of "Night in Tunisia" with Johnny Griffin on sax and Kenny Drew on piano from 1963. Wim takes a solo at 12.20 in the clip. The clip below is the Pim Jacobs quartet featuring Cannonball Adderley. It was recorded for Dutch Radio in 1965. It is truly a gem, featuring Wim in full flight. It clearly demonstrates that Wim was a fully developed jazz guitarist at the time. A European top guitarist, on a par with the much better known Rene Thomas. I\d like to end the series with two clips from a 1990 recording that he did with the Pim Jacobs trio backing saxophone player Ruud Brink. Note the marvellous swing comping by Wim. Wim's solo must have been overdubbed. I always liked the easy swing of this album that can be found on Youtube in its entirety. Not really vintage Wim, but very enjoyable nonetheless. From the same 1990 session we find "East of the Sun" with a very relaxed and lyrical solo fom the Dutch jazz guitar master.